Hi loves! How are you today? 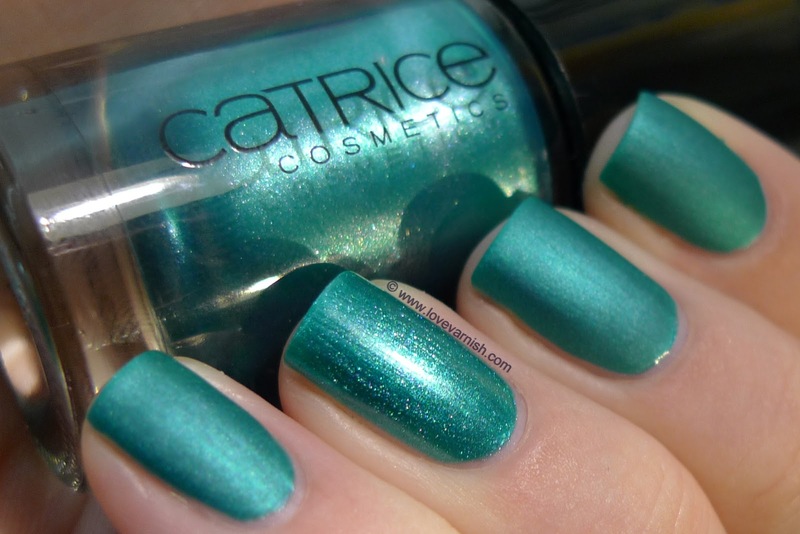 I actually had another post prepped for tonight but this afternoon I found 2 a new Catrice display, and I grabbed 2 shades to swatch and review for you! The ones I got are Mermaid My Day and Miami pINK. There are 5 new shades added, 1 was already sold out and the other 2 didn't seem that interesting to me so my wallet was happy ;-). These polishes are formulated with the new "gel-like" formula. They also have the horrific big brush and the bottle cap still feels a bit flimsy.. don't twist these too hard or they'll break! I didn't use any basecoat or topcoat for these swatches. 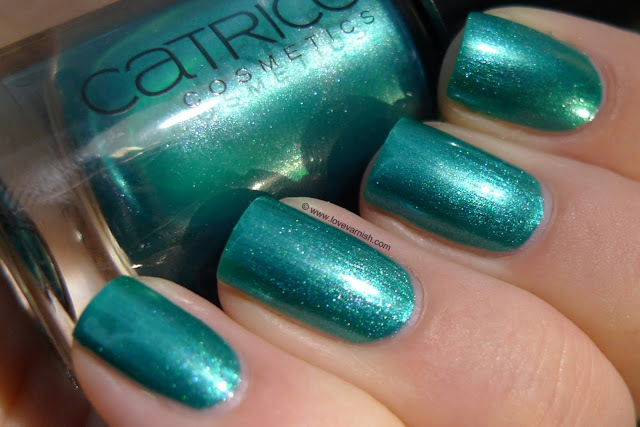 I do recommend using basecoat with Mermaid My Day especially, it is a stainy polish. They are nice and shiny on their own but obviously you'll get better wear when topping them. Mermaid My Day. A tealish, metallic, shimmery polish. The shimmer is silver. It appears a bit frosty, it doesn't show brushstrokes at all though. That might be because of the more sheer formula - I needed 3 coats for this look! That´s immediately the downside, I expected a more opaque polish, more metallic I guess. It does apply easy, nice spreading formula and even coverage. Miami pINK. A raspberry jelly base filled with Gorgeous magenta and silver shimmer/glassfleck. The finish on this is beautiful, sparkly but still quite "calm" because the colored base really captures the sparkle. I used 2 coats for this one but with long nail whites you'll need 3. This one also applied nicely, but I think this might shrink easily (wrapping your tips will help with that). Do you like these 2 new shades? Will you be getting any of the new polishes? Tell me in the comments! I didn't like them on the stand but I really love them matte! Brilliant idea. Mermaid My Day is a gorgeous color!! So intense. Mermaid My Day is so pretty! Yes it looks really good I think! Thanks for your sweet words Kristine! Oooh layering, that might be fun with that color! Thanks dear! It really brings out something different in these colors :). If you ever need me to mule something for you, no problem at all! It is pretty indeed :) thanks Amanda! It seems to be the favorite of the day :D.